The word photography literally means “writing with light.” August 2018, eleven students came together for a week-long class: Writing with Light. This experience was a collaboration between Flower City Arts Center and Writers & Books. 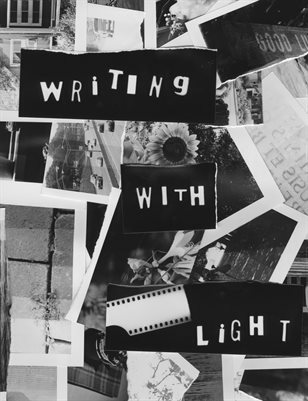 Students created their own fictional stories and poems with a skilled writer and then learned how to create their own black and white photographs with skilled photographers to illustrate their writing. Throughout the week participants learned how to tell a story through the use of both language and photography. Participants used 35mm black and white film cameras, and created their own photographic prints in a darkroom. Writing with Light is the result of this collaborative experience.